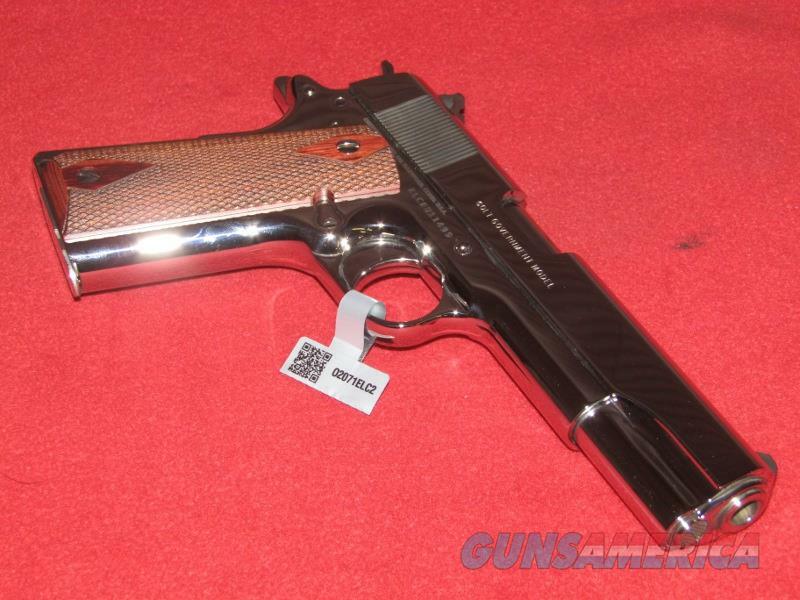 Description: Brand new Colt Government Custom 1911 Pistol (.38 Super). This highly polished stainless steel pistol has a 5” barrel, three dot sights and diamond checkered wood stocks. The sides of the slide show what look like some lines in the finish, it is actually a reflection during photographing this pistol. Comes with the manual, gun lock and two magazines.